1, When test, the coil does not require contact with the workpiece, but also without the coupling medium, so the detection speed. 2, The workpiece surface or near surface defects, high detection sensitivity, and in a certain range with good linearity indication, can be used for quality management and control. 3, At high temperature, the workpiece narrow area, deep-hole wall (including the wall) for testing. 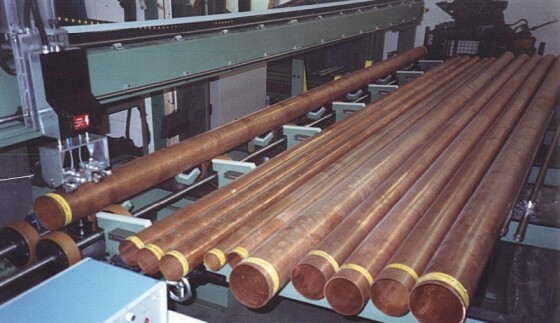 4, Measure the thickness of the metal coating or non-metallic coating. 5, Detect eddy currents can cause non-metallic materials, such as graphite. 6, The test signal is electrical signal, can be digitized, easy to store, reproduce and data comparison and processing. 1, The object must be conductive material, only for detecting metal surface defects. 2, The detection depth and detection sensitivity are contradictory to a material for ET, according to the material, the surface state, the test criteria for comprehensive consideration, and then determine the test program and technical parameters. 3, Through-type coil for ET, the specific location of the circle where the defect can not be determined. 4, Rotating probe ET can locate, but the detection speed is slow.